Established in the late 1970s, Newtons has grown to become one of the largest building and landscape yards in South Australia and the leaders in service, expertise and product range for their industry sector. 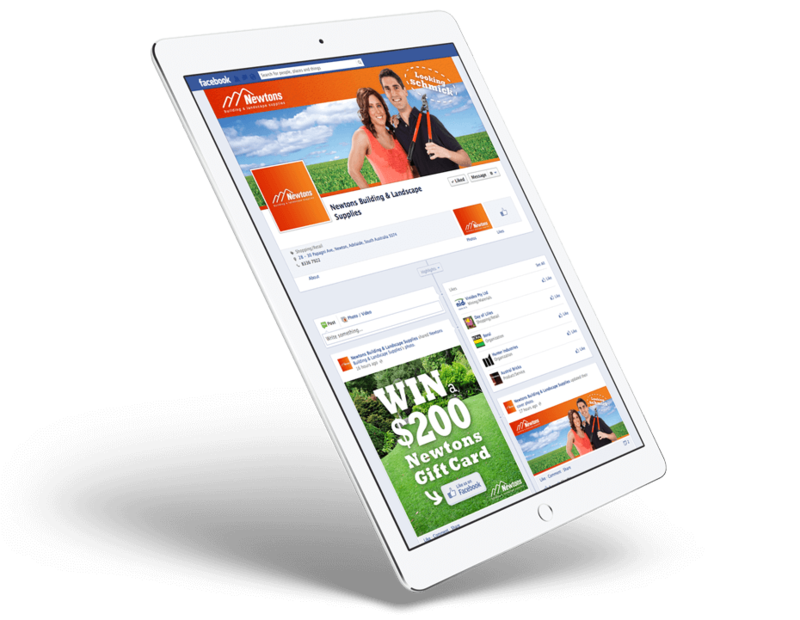 Newtons reached out to Fig Tree to assist in developing a Marketing Strategy including digital and social media alongside building brand awareness within key target audiences to help them grow beyond their existing loyal customer base. 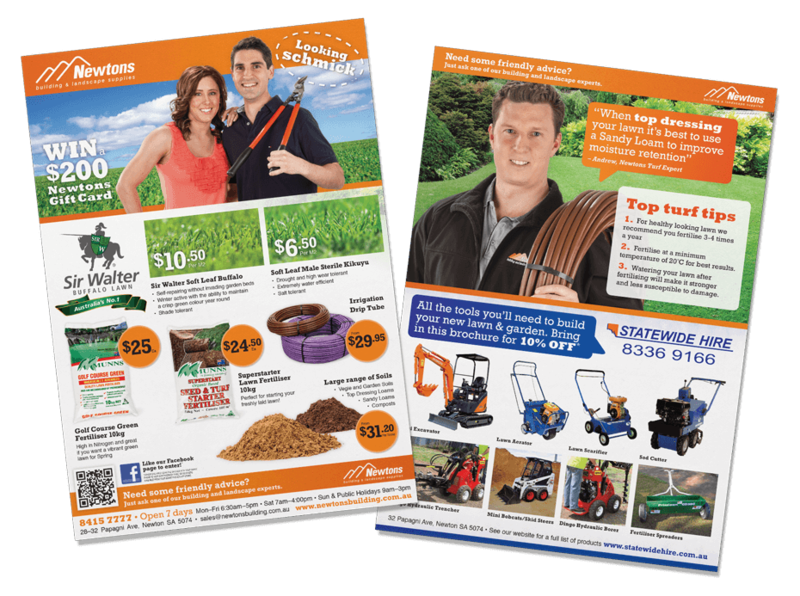 The Newtons catalogues and print materials required a new design to stand out amongst its competitors. 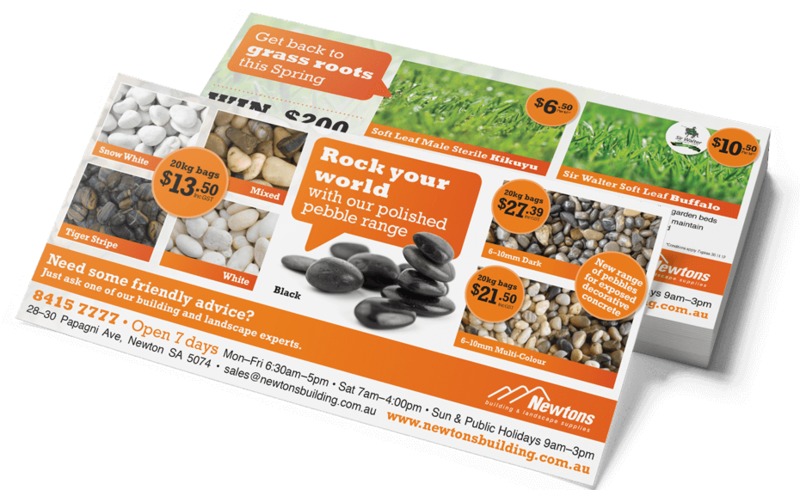 Printed flyers were designed and distributed as letterbox drops to key target areas, exciting customers about Newtons’ products and driving foot-traffic to their building and landscape centre. A new Spring marketing campaign was developed to position Newtons as the friendly experts in their field. The campaign was extended online, with a Facebook competition set up to encourage customers to engage with Newtons on social media, further strengthening loyalty and creating an ongoing connection with the brand.